The holidays are just around the corner. Okay more like over the hill and then around the corner because we still have exams to deal with but we will get there. With holidays comes a lot of free time and finding entertaining activities can be quite difficult, especially if you are on a tight budget. 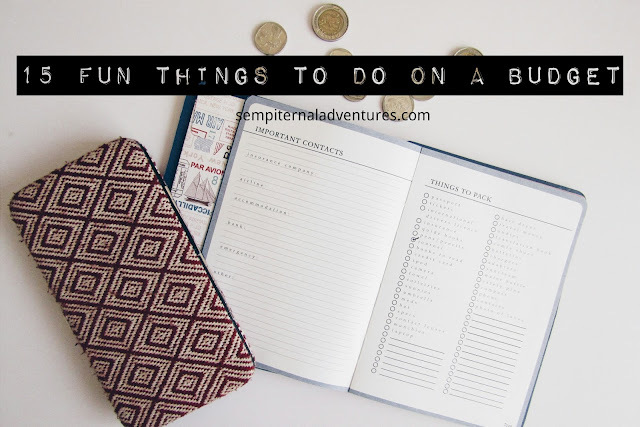 I decided to put a list to for fun things to do when money is not on your side. There are so many good movies showing at the moment it's almost as though we should start look for excuses not to go to the cinema. Seeing a movie is not too expensive and it's wonderful to out of the house from time to time. This is basically my most favourite activity and hiring skates is very cheap. This is a fun and easy way to stay entertained for the entire. Remember when I said ice-skating was my favourite? I lied. Nothing beats window shopping. I mean it does get sad when you cannot afford the clothes but it does give you some motivation, work hard so you can shop harder. Museums are usually very cheap to get into and once you are inside you get to experience a whole different world and learn new things at the same time. It amazing how much there is around you that is yet to be discovered. Just spend a day exploring your city, you might be surprised by how many amazing things you may find. That's how I started my YouTube channel. My cousin and I were bored during the holidays and somehow we decided to film ourselves dancing. It was tons of fun and kept us entertained for ages. Making a journal is simple and it's a cool way to get in touch with your creative side. I have done this one before and even though it wasn't a success I had a blast but man I was really looking forward to having homegrown carrots! What's better than letting yourself escape into a new world with lots of adventures. I used to live close to a nature reserve and it was so amazing. It's not only tons of fun but it's also an easy way to stay active and we all know how hard that can be during the holidays. When your bed looks extra comfy and that series is calling your name. You know all those mouthwatering you see on Instagram? Holidays are perfect for letting your inner chef free. Try making a rainbow cake, a pizza cone, a gingerbread house. Shall I continue? Sometimes it's better to spend your time helping others. Find something you are passionate and dedicate your time to it. This is one of favourite things to do during the holidays. There are so many fantastic DIYs on the internet that you just have to try! As SuzzeleDIY likes to say:"DIY because you can! " You don't always have to spend money at a market. Sometimes you can just enjoy the good vibes and have a good time? This is exactly what I have got planned for the holidays. There are so many topics to write about and it's loads of fun you may find yourself doing it for more than just holidays. I've been here for almost 2 years now! Loving your list. I RLLY wanna do ice skating but Karachi is so hot (literally!) that there's no room for ice anything. I have been planning to go to some colder cities this year if time allows. I am burning tbh! I hope you get to go really soon!